Alison has dreams of making it in Hollywood, but she needs cash, both to get there and for a couple months rent. She sees the trailers of the carnies who work with the circus that's in town and is hoping to find some cash or something she can turn into cash while the performance is going on. The whole idea of combining elements of horror and erotica put me a bit out of my comfort zone, but the story was well crafted and made for a quick, enjoyable read. I debated with myself on whether to give this 3 or 4 stars and decided to go with the later, not wanting my personal taste to be the deciding factor. If you like erotica, I think you'll love this story, but if you're strictly a horror fan, maybe, not so much. Available for .99 cents for your Kindle, Nook, iTunes, Kobo, or any other eReader. 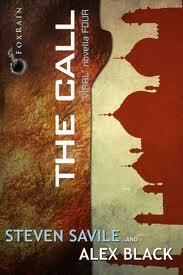 This is the 4th and currently final novella in the Viral series. Four stand-alone stories, all dealing, in different ways, with using the inoculations of children as covers for CIA operations. In this story CIA case officer Nikolas Koteas is hunting down a notorious Taliban commander in Pakistan. When it becomes clear that his ruthless enemy has acquired a biological weapon of mass destruction, Koteas must ask himself how far he will go to complete his mission. This is where the tie-in with the other three novellas comes in, as he tries to justify the inoculation of children in the compound so they won't be there when things go down. Things are made even more complicated with the introduction of Bill O'Brian, a Special Agent Investigator from the Agency's Inspector General Office there to investigate our hero's alledged support of the Retired Intelligence Officers group which has been critical of some CIA tactics over the last decade. By the way, in one of the story's lighter moments, I really enjoyed the way Koteas manages to get O'Brian out of his hair. Once again, the story was good, but I was very disappointed with the proofreading. There were more than a few errors with repeated words and other things. An example being "However useful talking to the him might be..." there were enough of these for me to drop from 4 to 3 Stars. I did enjoy the story, but could have done without the errors. 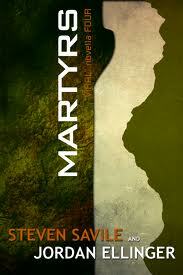 For me, Martyrs, Book3 in the Viral novella series, is the best of the lot, thus far. Once again the CIA is using the innoculation of children in hot spots around the world for their own operations. This time the action is in Pakistan where Dr. Sahir Ahmed is approached by a woman who wants to be his nurse. When Dr. Ahmed tells her he has no need of a nurse, she tells him that Noori sent her. Noori is the name of his dead son, killed with so many others at the World Trade Center on 9/11. Nadir Shahnaz has access to a vaccine for Hepatitis B to be administered to children. The vaccine had come into the country via an airdrop that was intercepted and would need to be retreived before they begin the inoculations. This will lead to a very exiting chase scene, but, before that action Nadir explains that the vaccines are really a cover which will inoculate children against a disease that could kill them before middle age, but is still just a cover. When the first dose is administered the "nurse" would see that there was a backwash of a bit of blood. Enough to get DNA samples in an effort to match a specific international terrorist. And with that, I think I've said enough about the plot. As in the other books in the series, I found the writing to be top notch, with plenty of action, making for a fast and enjoyable read. In this instance, the writers do a nice job in tying up the loose ends, something that was sorely missed in the first two novellas. I would definitely recommend Martyrs and it does work well as a stand-alone work. Felix Koehler is the administrator at the Ifo refugee camp in Dadaab, Kenya. He used to be a senior official at the Robert Koch Institute, in charge of investigative epidemiology, but that was another life and two years ago. Refugees and staff are dying of Cholera. It's an epidemic with a much higher death rate among the vaccinated, even among those with the booster shot. Once Felix discovers the truth, his life is on the line. His only ally is Hank Strait, a U. S. Marshall. As they race to get away and make the information public, they can't trust anyone. Local authorities are on the take, the CIA seems to be involved and their only hope seems to lie in getting out of Kenya and to the German consulate in Somalia. 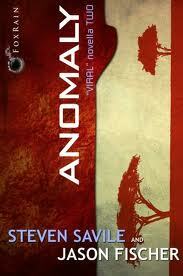 Anomaly is book 2 in the Viral series of Novellas and suffers from a similar issue I had with the first one, -30-. Although, the writing is good, there are just way to many loose ends. I also hoped that the 2nd Novella would tie in more with the first one, even though they've been promoted as stand-alone stories. It's almost, as if, a word count is reached and the authors are in a hurry to come to a conclusion. Joe Lombardo is a Pulitzer Prize winning newspaper guy. Having won the award for his stories on Kosovo. That was a long time ago and now he works for another paper in the Op-Ed department. Nik Rugova, his source for much of his award winning work has resurfaced with an even bigger story. -30- is a fast-paced thriller of a Novella, and that's one of the problems for me. It seems like it should be the first section of a larger work, just when you get to the point where Joe needs to decide whether he's going to reveal his bombshell and potentially bring down the CIA or bury the story to save the lives of an uncountable number of children who would no longer trust Americans abroad trying to provide them with vaccinations we take for granted. It ends. True, this is book #1 of the Viral Novellas and those questions may be answered in future editions. I still feel just a bit cheated, particularly when the other Novellas are prompted as part of a series that can be read as stand-alones. The writing is good, the story was good. It just should have been the 1st section in a larger book. It's rare that I'll give a collection of short stories 5 stars. There are nearly always one or two that don't work for one reason or another. Not the case here. 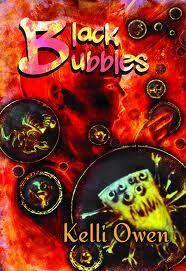 Kelli Owen's Black Bubbles is filled with gems. The prose is lyrical at times, allowing the reader to relish every word. While reading one story in the collection, I noted, it was as if Kelli was seeing things from the corner of her eye and getting those details down on the page. There's a lot of variety in this collection, all with the intent to disturb or frighten the reader. In Shadow of Skepticism, a couple of paranormal investigators encounter more than they want to. There's also Kelli's first foray into the world of Zombies, with atypical results, in Feeding the Animals. It all wraps up with the title story, Black Bubbles, a totally original concept of what happens when too many children are taking meds for AD/HD and are no longer having nightmares. I also really enjoyed Kelli's Notes after each short, where she would relate that story's inspiration. If you subscribe to Amazon Prime, you can read Black Bubbles for free as one of your monthly lending library selections. Even if you don't read it for free, it's well worth the price of admission for hours of good solid horror. By far, one of the strangest stories I've read in quite some time. This Novella starts out rather normal. Man meets woman in a movie theater lobby. Woman is in distress. Man offers comfort. There's an attraction. And that is about it for normal. Liana is trying to get away from her past. Richard is divorced and living alone in an apartment. The people she was with before didn't treat her well and so he offers her a place to stay. The first time they make love, we find there is something odd about Liana. When some men move into the apartment upstairs things get weirder by the day. The Men Upstairs is well written and definitely a page-turner. Not for the faint of heart and if it was a movie, the MPAA would likely give it an R rating. But, that being said, I really enjoyed where this story went and particularly enjoyed the ending. I'm thinking that might make both Tim Waggoner and I a couple of sick bastards. The Men Upstairs is a part of the Delirium Novella Series from Delirium Press. It is available as a signed limited edition Hardcover and in e-book format for the Kindle from Amazon.com. Westlake Soul is available as a Trade Paperback and e-book from Chizine Publications as well as Amazon.com. The Wind Through the Keyhole is a story told by a young Roland Deschain, of Gilead. One read to him by his Mother when he was but a child. Here, it is a story, within a story told by a much older Roland about the time his Father sent him to Debaria to find and deal with a murderous skin-man, a shape-shifter of sorts. That would make The Wind Through the Keyhole a story within a story within a tale which sai King has been weaving for more than 30 years. That, in itself makes this a remarkable work. Was there something missing in the seven volumes that make up the Dark Tower series? Not really. This work does little to fill in any gaps between books 4 and 5. At the same time, it was wonderful to once again visit Mid-World, to be with Roland and his Kat-tet, even for a brief time. The bulk of this volume deals with Roland and his ka-mate, Jamie DeCurry, and their hunt for the skin-man and the telling of the actual tale of the Wind Through the Keyhole. Although you may enjoy this book without having read any of the DT books that come before or after this one in the DT series. I believe you will enjoy The Wind Through the Keyhole more if you've already read them all. There are multiple references to things that have already happened and even people and events that are yet to come. Constant readers are sure to enjoy the number "nineteen" occurring from time to time. Plus, anyone with an iPhone 4s will be asking themselves if Daria is a Mid-Word version of Siri. Is King finished with Roland's tale? Maybe. But, if this book sells and the muse from MId-World speaks again, maybe not. And that would be just fine with me. Currently available in Hardcover and digital formats from the usual sources.